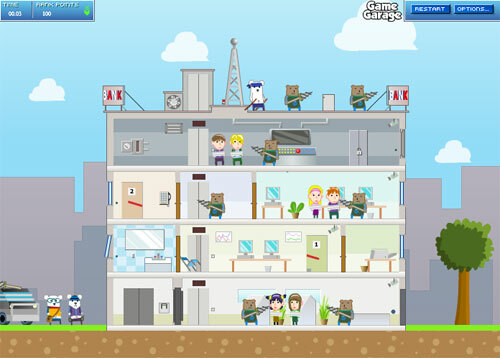 Description Use the different skills of the four special agents (Kla, Lucas, Ryoh and Steve) to carry out the mission to save the Bedtime bank from robbers who have taken hostages. Solve all the puzzles to complete the mission. Warbears is a great game with beautiful graphics and stunning gameplay. Prepare to be hooked!